Amazing and at the same time mysterious world of rich people, billionaires. If you are dreaming of becoming the part of this world, you should try the Cashville game slot free and discover for yourself some typical representatives of the higher society. When you play video slot Cashville from Microgaming, you will see here 3 reels and 20 paylines. You will be able to benefit from rewarding bonus features and make the 50 000-coin jackpot yours. 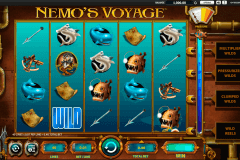 Microgaming free interent slots no download connected with money themes and attributes of the prosperous life are favourite slots of many gamblers. 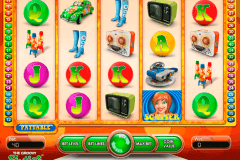 The Cashville slot is one of the best designed among them. In this casino game you will see the icon ‘W’, which is the Wild symbol. This symbol can substitute only for money symbols and combination of five ‘W’ icons will award you with the above-mentioned jackpot. When you see the Dollar Sign on the reels of the Cashville game (letter ‘S’), you should know that this is the Scatter symbol, which has generous payouts (the maximum is 300x). At least, gamblers, who like slots online free with bonus games, will estimate the Cashville Bonus Game too. The Bonus symbol is the key to this bonus round and you need to collect at least three of them to activate it. This bonus play is the Pick’Em game, where you will first choose 1 of 4 billionaires to enjoy picking among 9 objects for cash prizes. Online gamblers can win here up to 60 000 coins. Gambling in New Zealand and in other counties would lack something without Gamble rounds and you can try your luck and double wins in the Gamble feature of the Cashville slot too. 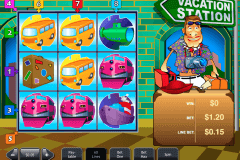 Nice graphics, funny characters and huge wins have made the Cashville slot machine very popular. 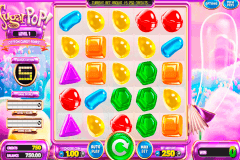 Even all, who play slots on mobile, can try all its features in the mobile versions. So, on the reels of this game you will see 4 billionaire characters (Bill Bullion, Dame von Deeds, Sir Sterling and Betty Boodle) together with cigar, ring, money and jewelry symbols. Do not miss the unique chance to become the rich person by playing the Cashville slot from Microgaming in real money casino online in New Zealand.